CO2 Laser resurfacing is by far the most powerful skin rejuvenation technique available for the face. This has been recognised for quite a few years and is one of the few things experts around the world agree about! This facial laser surgical procedure is performed under a special type of local anaesthetic cream which is made and distributed by a special pharmacy in Germany. As long as you take good care of your skin, results will last for many years. For the majority of people, it is a once in a lifetime treatment. It works by removing the whole of the top layer of skin (epidermis) and part of the deeper layer (dermis). The special “ultra-pulse” type of laser that we use causes a contraction of the skin giving the best available skin tightening. This also stimulates regeneration of collagen, giving further improvements for skin laxity and wrinkles. The new upper layer of the skin (epidermis) regenerates to be thinner and smoother. The rejuvenated dermis will be stronger and plumper due to the collagen development and the results will continue to improve for months after your resurfacing treatment. Rest assured, at the Ever Clinic, we use the gold-standard in laser devices and are fully trained and insured by the recommended providers. What happens during a laser resurfacing treatment? You will have a consultation with Dr Cormac to make sure that the laser resurfacing treatment is suitable for you. If all is ok, a time and date will be scheduled for the procedure. During the consultation, Dr Cormac will issue you with a prescription for prophylaxis medications. These medications are to be used as instructed during the immediate post-procedure period. Taking these medications minimises the risk of harmful side effects such as infection following this type of aggressive skin laser surgery. Before the procedure takes place, Dr Cormac will confirm your understanding of the procedure and aftercare, answer any final questions, and then ask you to sign a consent form. Antiviral tablets will then be administered and a sedative offered. Pre-procedure photos will be taken and the face will then be cleansed and prepared with a special type of topical, local anaesthetic gel. From time to time, additional anaesthetic techniques such as tumescent anaesthesia or nerve blocks may be used which involve small injections of local anaesthetic under the skin. The anaesthetic preparation will last approx 45 mins. You will now be moved into the procedure room and fully prepared for the fully ablative CO2 procedure. If you are only receiving facial treatment then adhesive eye-shields that stick over your eyes will be applied. If treatment around the eye area is to be performed then you will have already had anaesthetic eye drops applied and metal contact lens style eye-shields will be inserted. In most cases, clients who opt for full face treatment will want to incorporate the benefits of eyelid treatment as well and they can both be performed in the same session. The laser skin resurfacing treatment takes place lasting approx 45 mins. what does laser resurfacing do? Laser resurfacing is a facial laser surgical treatment performed under a special type of local anaesthetic to reduce facial wrinkles and skin irregularities such as blemishes or acne scars. The technique directs short, concentrated pulsating beams of light at irregular skin, precisely removing skin layer by layer. Treatment of skin laxity and wrinkles around the eyes can also be incorporated into the treatment. LASER RESURFACING IS DIFFERENT FROM FRACTIONAL RESURFACING WHICH IS A MUCH MORE COMMON, AND MILDER CO2 TREATMENT. Is laser resurfacing safe for pigmentation? Laser resurfacing is one of the most advanced treatments for removing pigmentation on the skin such as age spots, sun spots and freckles. It is performed in order to: completely renew facial skin, tighten the skin to help reduce the consequences of laxity, remove wrinkles and improve elasticity and skin thickness. What laser is best for wrinkles? CO2 fully ablative lasers as used by Dr Cormac are the best lasers to treat wrinkles. They promote collagen remodelling making them popular for treating fine lines, wrinkles, skin laxity and age spots. Is laser treatment safe for the face? Laser skin resurfacing is safe for the face as long as the Dr performing the treatment has the knowledge and experience to offer the procedure, and they use the appropriate laser. Laser skin resurfacing may help your skin look younger and healthier if ageing, acne or too much time in the sun has left your face with blotches, scars, wrinkles or lines. What is the best facial laser treatment? The most powerful and advanced CO2 laser available today is the Lumenis Ultrapulse CO2 laser. The fully ablative CO2 laser procedure is only performed by a handful of experienced laser surgeons world wide and Ever Clinic’s Dr Cormac is one of them. How long do laser resurfacing results last? Dr Cormac will provide you with the necessary skin care routine to ensure you get the maximum time from the benefits of the treatment. How long does it take to recover from laser skin resurfacing? This is an aggressive medical procedure. Recovery, and regrowth of the epidermis will take some time. Following completion of the procedure the client’s face will feel very hot. It is best described as a sunburn sensation. This burning sensation will last for up to 24 hours before settling. The skin will continue to heal day by day and after 9 – 10 days most clients can return to work. There will be some ongoing redness that will take a few weeks, or sometimes months, to settle. Recovery is monitored by serial ‘selfies’ on day 2, 4 and 6, with additional contact on an as required basis. Is laser treatment for the face painful? What laser resurfacing treatment feels like depends on the laser, the depth and area of treatment and an individual’s tolerance to pain. The level of discomfort experienced during the procedure is typically a prickly burning sensation that usually can reach up to a 5 out of 10 subjective severity. We have never encountered anyone who has been unable to cope with the procedure from a pain or discomfort point of view. Pain or discomfort from this type of laser surgery is best described as moderate at the most. What are the side effects of laser resurfacing treatment? 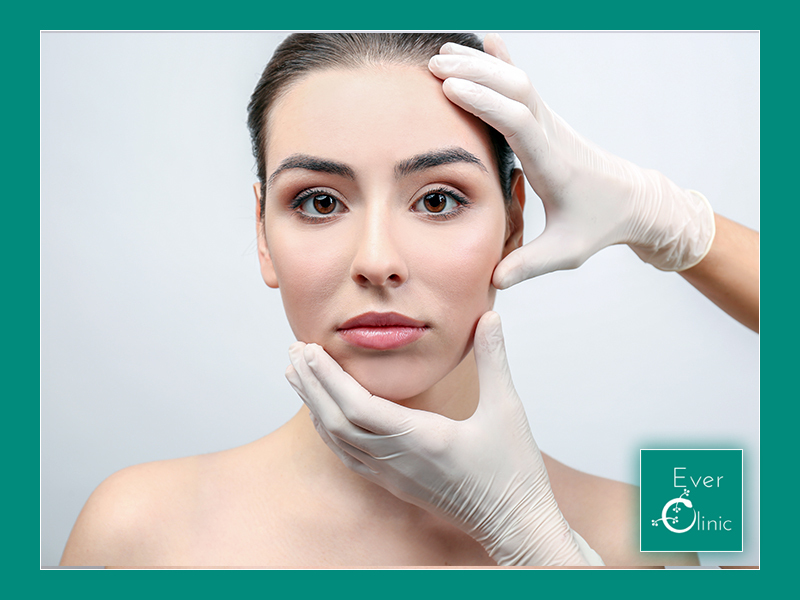 Fully ablative CO2 resurfacing is the most aggressive type of skin resurfacing procedure Dr Cormac performs. Because of the level of expertise however, the incidence of side effects is low. With any laser resurfacing treatment, complications are possible and in fully ablative CO2 laser these include the following. Although more common on darker skin types, this is the most common side effect. If the aftercare instructions are strictly adhered to, you are more likely to avoid this type of complication. If you do suffer from skin darkening as a result of laser resurfacing, it will usually spontaneously improve; however it can be expedited by the addition of topical treatment which we will advise on. Depending on the severity of the initial inflammation, it can take anything from a few weeks to 6 months to completely disappear. Sun exposure is the most common aggravating factor and this is why strict sun avoidance is important in the first few weeks. True hypopigmentation occurs when there has been damage to melanin producing cells following the laser treatment. This is rare with fully ablative CO2 resurfacing as the new skin is repopulated with new melanin producing cells from the deeper structures of the skin. If True Hypopigmentation occurs, it can take many months to recover and can indeed be permanent. Pseudo-Hypopigmentation is not actually hypopigmentation, rather is an apparent skin lightening that we appreciate due to the light reflection form newly formed collagen. This typically reduces as the new melanin is produced following (hopefully) cautious sun exposure. If only part of your face is treated with laser resurfacing, the new skin may be subtly different in shade to the surrounding skin, leading to a visible line of demarcation between treated and untreated areas. Although less likely in lighter skin types, we usually prefer to avoid part treatment for this reason and prefer to treat the whole face. It is important to note that if lighter, freckled skin is part treated there will also be a demarcation between untreated freckled skin and treated freckle free skin. Infection can occur in any kind of laser skin resurfacing however it is preventable through early detection and management. Dr Cormac monitors the skin resurfacing healing closely with the use of ‘selfie’ photos on days 2, 4 and 6. It is very important to minimise the chances of uncontrolled infection as this increases the risk of hypertrophic scarring (raised bumps). The most common form of infection is the cold sore virus (HSV) but it can usually be prevented by taking an anti-viral medication daily for seven days during the recovery period. Bacterial infection prophylaxis is also issued in the form of a once daily antibiotic tablet taken for 7 days after the procedure. Fungal infection is a possibility and Dr Cormac will include medications in the aftercare pack to treat this should it occur. Scarring is very rare but is of course a possibility. The most likely cause of scarring would be from uncontrolled infection which is highly unlikely due to the photo monitoring during the first week of post treatment healing. A less common cause of scarring would be from direct thermal injury from the laser (burn) However, because of the level of experience and expertise by Dr Cormac, the likelihood of this happening is extremely unlikely. Every client will experience redness to a degree after having the CO2 laser treatment and as such is not really a complication. The redness tends to progressively settle and generally tends to take upto 3 – 4 months to completely reduce. It is important to understand that whilst the redness remains, the likelihood of developing browning/tanning of the skin (post inflammatory hyperpigmentation) still exists. It is therefore important to take sun avoidance precautions and use SPF 50 sun block until the redness disappears. Post resurfacing contact dermatitis is a form of increased sensitivity of the skin that is encountered by a percentage of individuals post laser resurfacing. In some cases it can be quite severe and is more likely in aggressive forms of laser resurfacing such as fully ablative CO2 resurfacing. Mild irritants can trigger a disproportionately large irritation of the skin (burning and itching) that can then result in prolonged redness and darkening of the skin. If it does occur, it is usually treated by topical steroid ointment and eventually spontaneously settles down. Triggering of the contact dermatitis can be reduced by the use of mild, perfume free cleansers and skin products after treatment and Dr Cormac can advise on suitable products. There are only a few case reports world wide of erosive pustular dermatosis. It is an extremely rare dermatological condition that can be triggered by any type of skin injury including laser. It effectively amounts to the failure of the skin to completely heal after treatment. If this was to occur, management would be undertaken in a specialist dermatology unit and the consequences could be permanent scarring. Can I wash my face after having laser resurfacing treatment? Although it is extremely important to keep the face clean to minimise the risk of infection post treatment, you should wait at least 12 hours to wash your face and then only use a very mild cleanser. You should also avoid using warm/hot water for at least 2 – 3 days post laser resurfacing. Detailed aftercare instructions will be discussed at the time of treatment and issued to you in a written format.